Hope everyone is having a good time with the family and received lots of nice gifts! Hi gusy! Long time no see! Hope you guys are having a great holiday! 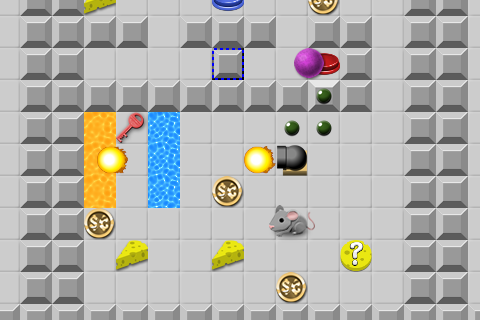 I've just released my previously Blackberry exclusive game Rodent Rush for the iPhone! Check out the game's main site here! Poor little Mus the mouse has been abducted by a scientist madman! and more on his brave quest for cheese and freedom! mazes and escape that stinky-face bad guy man with the weird hair! Hi guys! I no longer keep this site updated! I'm going to keep this site online as long as I'm willing to pay for it. Who knows how long that will be though. Rodent Rush was featured at crackberry.com!!! yay! 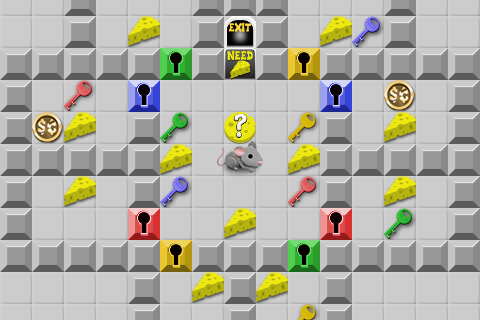 Collect the Cheese and get to the exit. Don't get caught in the many traps. 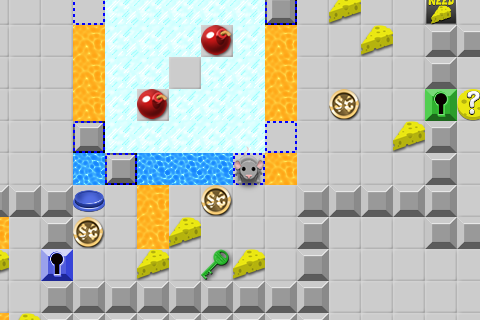 Solve puzzles and collect items. More info about the game can be found scattered on the news page. 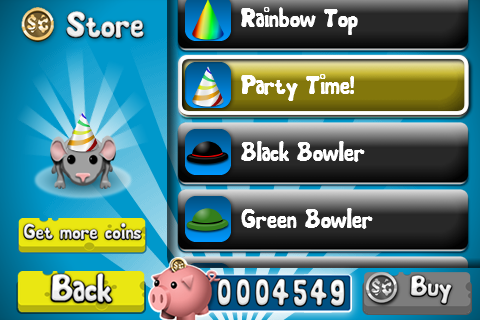 You can now buy the game at the Blackberry App World"
Rodent Rush is basically done. Blackberry release in a few days, with iphone and android to follow, in that order. Just finished my last final today! Hopefully I won't play around too much and actually get some projects done. It'll be for the cell phone first. If you have an iphone or a blackberry you should have something fun to play pretty soon. It'll be real cheap, maybe $3-4. Stay tuned! I'm going to work on it as much as I can this week assuming that I don't have any sudden holiday visitors, or (hopefully not) a winter cold.